What is Tech & Learning Live? 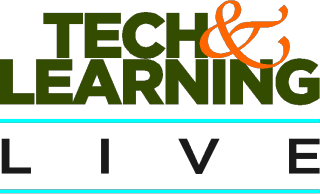 Now in its thirteenth season, Tech & Learning Live (previously called Tech Forum) is a high-powered, one-day event providing K-12 decision makers with thought-provoking content on the hottest topics of the day in education technology. An engaging and intimate setting, expert presentations, and plenty of networking opportunities ensure that participants leave with practical tools and key contacts for continued rich communities of practice. Brought to you by Tech & Learning magazine and TechLearning.com. Are you the "responsible party" everybody else turns to when the technology breaks down? A presenter and organizer at other conferences and professional development days? The one who's expected to be the expert on everything related to educational technology? If so, then Tech & Learning Live is for YOU. You're the expert, the supervisor, the mentor — but who mentors you? Take advantage of this unique opportunity to learn with and from fellow ed tech leaders. Tech & Learning Live brings together visionaries of all sorts -- from district-level CIOs and administrators to building-level technology specialists to mentor teachers and professional development providers -- for an amazing day of networking and growth. Come share your challenges and successes. Or just come to listen. Either way, Tech & Learning Live offers you a rare chance to relax and connect with others who share your passion for technology as a tool to transform teaching and learning. Other education staff involved in technology planning.